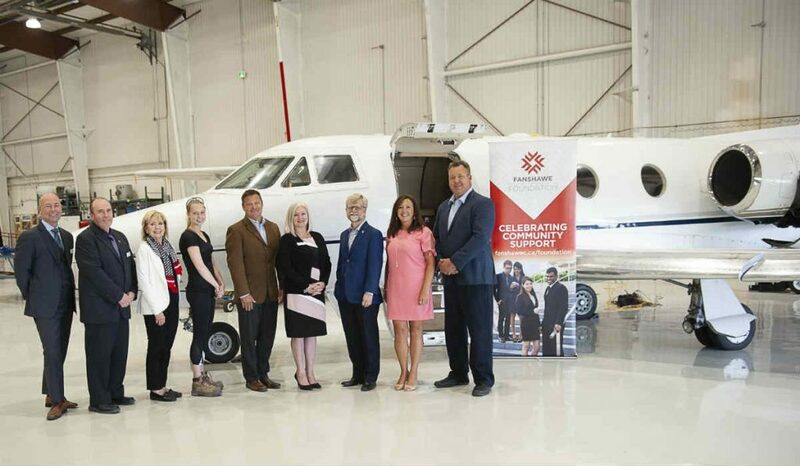 In June 2018, a special event was held at Fanshawe College's Norton Wolf School of Aviation Technology at the London International Airport in London, ON. This event marked the donation of a Dassault Falcon 10 jet to the school. The donation of the Falcon 10 was made possible by the generosity of the aircraft’s owner, Joe Carapella, president of The Tricar Group. Carapella and his wife Lyn wish to empower others to make a difference in the growth of the city they proudly call home. The donated jet represents a $1 million contribution to the school and the 17th aircraft in Fanshawe’s fleet. It is also the third major contribution to the college in last year following a De Havilland DHC-7 in June of 2017 and a Sikorsky S76 helicopter in May of this year.